Life is a Highway – it's the journey not the destination | Home educating family, exploring what the world has to offer us all. I can’t quite believe it is summer holiday time already. We have no plans to go away until September so for the next 5 or 6 weeks we’re stuck in that limbo where if I decide to do work, they’ll magically find friends to go an play outside with, but if I don’t they’ll mope in the house 😉 Oh fun! It does give me time to get them interested in oustide things again like we did so much last year. I’ve set up a new site where I am planning to have ideas for ways to get kids outside, so I am super motivated to get them out. I’ve heard bad things about the weather though so who knows how it will all pan out! 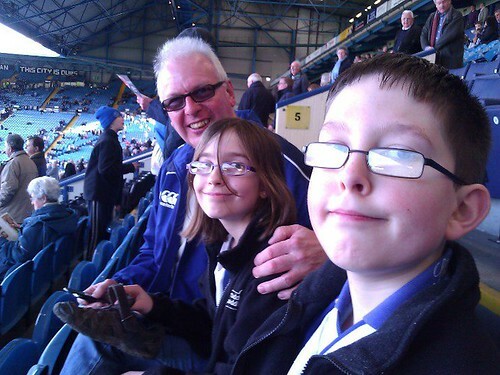 Alex went off on a fab summer camp last week and had an absolutely fantastic time. She was ready to come home, but they had loads of days out and even did lessons which she said were ok, but didn’t make her want to go to school! While she was away last week Marcus had a friend over and we had a couple of trips in to Sheffield to the museums there. Felt like it was busier than it sounds! So we’re planning on taking things easy over the summer and concentrate on a few things like writing which neither of my kids do much of and I’d like them to improve so they can either hand write a journal next year or start a blog. Maths is taking a back seat, we do like to just completely leave it once in a while and let it stew in their brains 😉 Spanish will keep going too and Alex will try and keep up with her recorder. And then, no doubt it will be September soon enough! 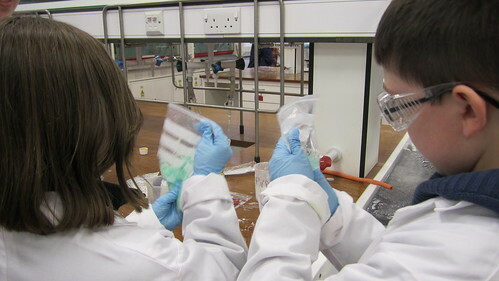 I was pleased to not have such an early start on the Saturday but really we could have done with setting off earlier to make the most of Cambridge Science Festival. I’d heard loads of friends say positive things about the festival but it always seemed so far away to take part in ourselves and really you end up thinking that there must be similar things nearby. Anyway, it was a bit of a long drive in and a long wait at the park and ride but we eventually managed to get into Cambridge city centre. 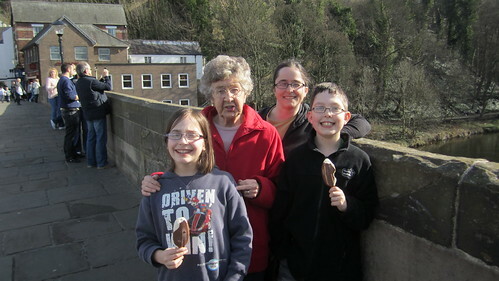 Alex really wanted to visit the zoology museum as she has been a member of the young zoologist club that the zoology department runs for a few years now and we’d promised a trip there ‘one day’. The museum is full of stuffed specimens and skeletons and the kids spent ages oohing and aahing over various things. They loved it there! 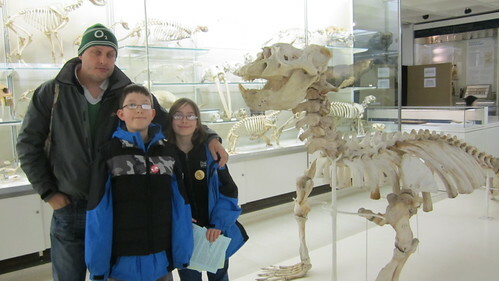 We all couldn’t believe the size of an elephant seal skeleton either! 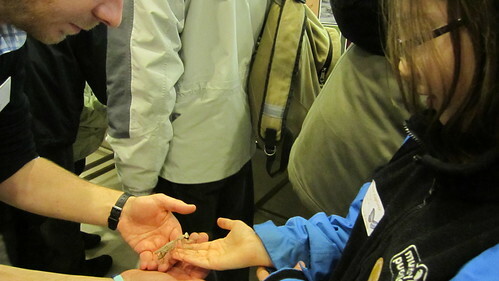 The special event on in the zoology department was some live bugs being on show and various microscopes and insect bits to look at. Alex held a praying mantis after a bit of encouragement (she wanted to, but didn’t want to ask) but drew the line at a hissing cockroach! After being there we headed to the Scott Polar museum. It’s a bit of a mixed feeling this one. We’ve learned a bit about the polar expeditions recently and Marcus listened to an audio book we got called Race to the Pole which he enjoyed a lot, but made him quite sad due to them dying and one committing suicide. So although I enjoyed the museum and we all learned lots, it made them all sad again. Back to M&M’s and we celebrated St Patricks day with Colcannon mash and lamb for dinner – yum yum 😀 and whiskey for those that liked it. 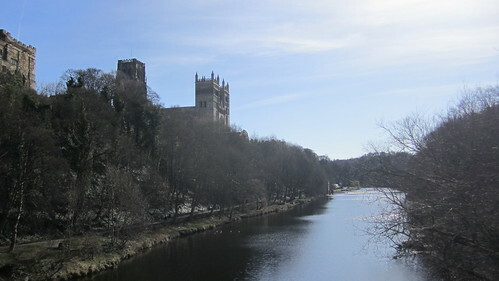 Sunday saw us head home but not after a lazy start and lots of tea and chatting. I have some fab friends and I never seem to get over how lucky I am after weekends like these. We stopped off at a campervan dealer on the way home and had a good look around some vans to see if teh configuration we think we want is a good idea and won’t be too big/not big enough. Kids loved all of them, as did I, but they were very expensive and we’ll be looking at cheaper ones for sure. Good to get an idea and was great to look round without a pushy sales person too. So after 2 months of fairly quiet life a majorly busy weekend. 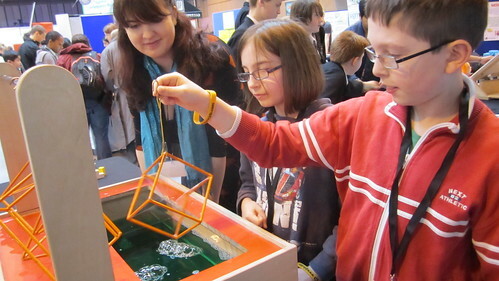 It started on Thursday with a visit to the Big Bang Science fair which was held in Birmingham this year. We went last year when it was in London and had a really good time. It was a very early start but it still took us a long time to get there as there was a bad accident on the other side of the motorway. Once there we had an ok time, but really didn’t seem to enjoy it as much as last year. I think perhaps the kids were a bit too tired and certainly Alex went from stand to stand without joining in things which isn’t really like her. 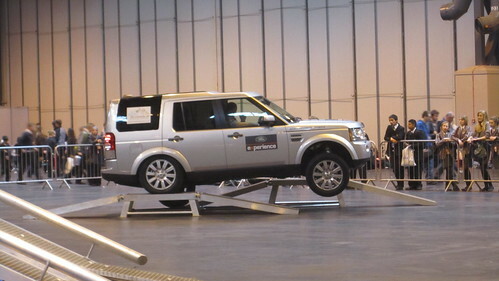 We did very much enjoy the Bang Goes Theory stand where they tried to hammer our fingers and the Land Rover area where they took you round in the cars and went over ramps and stuff – very cool! 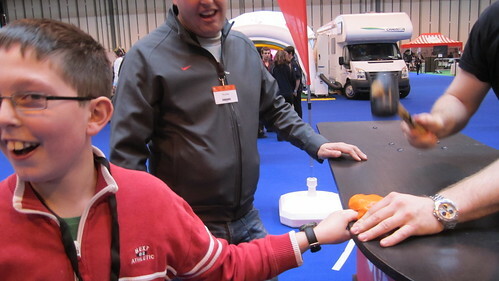 We also really liked a stand with all sorts of taste experiments going on (especially as they had free chocolate!!). I’m not sure we’d go again next year, I think we need a year off from it!! I think every journey in to London should be me as a passenger with someone who knows her way and James being directed by someone else – so peaceful!! 😉 And way better than Megabus!! We parked at Cockfosters and got the tube in to the centre. 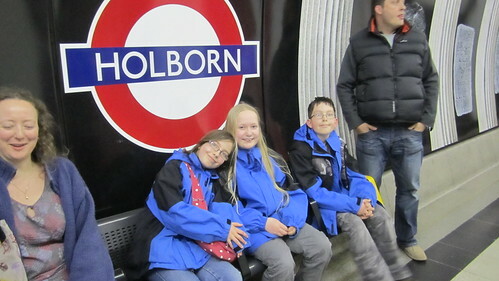 It really didn’t feel like we were actually in London though as it had been so easy and quick! Our first stop was the RI where we had booked in to a lecture about the physics and maths behind superheroes. It was really good and really interesting. I hope the kids got something out of it. I was pleased we were able to actually be in the lecture theatre this time as last time (which I don’t think I ended up blogging about) we were in another room as the lecture theatre was being used for some filming or something. 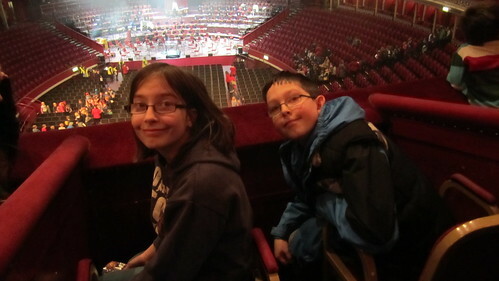 After the lecture we hopped on a bus to get to the Royal Albert Hall for their Classical Spectacular show. Michelle had mentioned it to me last year as a good thing to go to so I stuck it in the diary and tried not to forget to look for when the tickets were released. 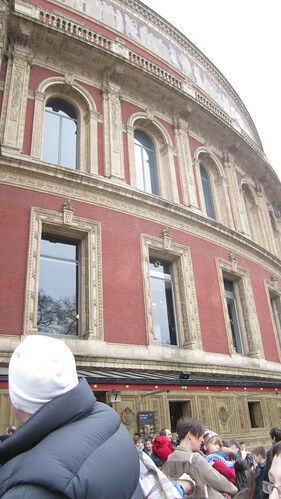 I don’t think I’d ever even seen the Royal Albert Hall before on any of my trips to London. Certainly not as an adult, and I don’t remember it as a child – such a gorgeous building. The show was great too. Mostly pieces we’d heard of even if we didn’t know anything about them and the conductor said a little about each piece at the beginning. There were dancers and soldiers and cannons. Fab! 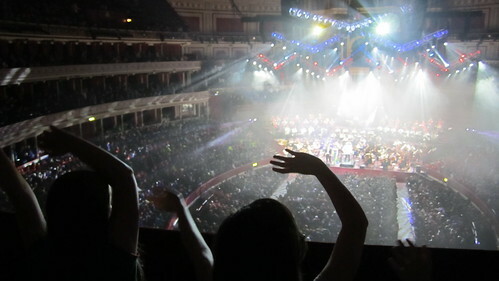 I think my favourite had to be Pomp and Circumstance with all that arm waving and feeling very proud to be British. 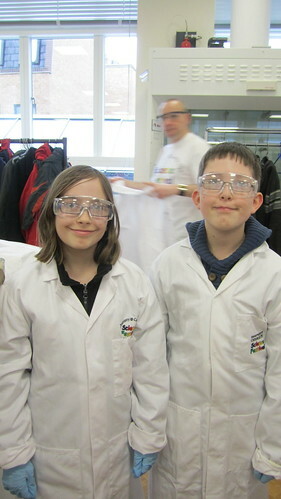 I was very sad when it was over – definitely want to go again next year! Afterwards we headed back to M&M’s with a bit of a detour into the Selfridges food hall which is a bit of an experience in itself! Tried hard not to lose the kids! We were completely spoiled at M&M’s with a fantastic haggis, tatties and neeps dinner with echoes of our Rosemarkie holiday last September and they even opened a bottle of Moet (my absolute fave!) to toast to fab experiences and adventurous spirits (we may have mentioned our plans for next year). It was a perfect end to a perfect day – loved it.